Marriage: 29 Nov 1899 Alice Rose Saunders; 2s. 1d. Death-Notice* 3 Jul 1945 ELLIS.-On July 2, at private hospital, John McDonald Ellis, beloved husband of Alice Rose, and loved father of Violet, John, and Thomas. ELLIS.-On July 2, at private hospital, J. McD. Ellis, loving brother of T. J. Ellis. ELLIS.-A tribute to the memory of Cr. J. McDonald Ellis, M.L.A., from the members of the Hawksburn Branch A.W.N.L. Mr John McDonald Ellis, Mayor of Prahran City, and MLA for Prahran, died in private hospital yesterday at the age of 72. Mr Ellis suffered an attack of bronchitis recently, and pneumonia supervened. 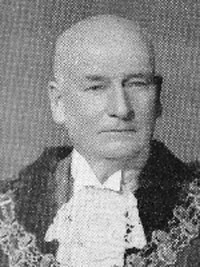 Mr Ellis was Mayor of Prahran four times, in 1930-1, 1931-2, 1934-5, and 1944-5. He was a member of the council for 19 years. He had represented Prahran electorate jn the Legislative Assembly since 1932. Initial data source: Browne, G, 'Biographical Register of the Victorian Parliament 1900-84', 1985." [S35] Probate Records, PROV (Public Records Office Victoria), VPRS 28/P3, unit 4311; VPRS 7591/P2, unit 1319. [S11] Newspaper - Argus 3 Jul 1945, p2. [S185] Property Titles. ; PROV (Public Records Office Victoria), C/T 4171-070 - John McDonald Ellis died on 2 July 1945. Probate of his will has been granted to John Hayman Thomas Ellis of 32 Verdana Avenue Toorak Civil Servant and Phillip Windmiller Ettelson of 395 Collins Street Melbourne Solicitor. [S185] Property Titles. ; PROV (Public Records Office Victoria), C/T 4171-070 + 4406-106 - John Hayman Thomas Ellis of 2 Winifred Crescent Toorak Civil Servant, Thomas William Ellis of 28 Saturn Street Caulfield Merchant and Alice Violet Groves of 3 Berenice Terrace Toorak Married Woman are now proprietors as Tenants in Common in Equal Shares. [S11] Newspaper - Argus 3 Jul 1945, p3. [S11] Newspaper - Argus 9 Jul 1945, p13. [S11] Newspaper - Argus 15 Mar 1946, p3. Death-Notice* 4 Jul 1931 GIBBS.—On the 2nd July 1931 Henry Hensman Gibbs of 39 Harp road East Kew, the dearly loved husband of Millie, and loving father of Frances, aged 41 years. GIBBS.—The friends of the late Mr HENRY HENSMAN GIBBS are invited to follow his remains to the Lilydale Cemetery. [S185] Property Titles. ; PROV (Public Records Office Victoria), C/T 1164-607 - Henry Gibbs (Henry Hensman Gibbs) of 39 Harp Road East Kew Bricklayer - C/T 4116-086. [S11] Newspaper - Argus 4 Jul 1931, p15. [S185] Property Titles. ; PROV (Public Records Office Victoria), C/T 4116-086 - Henry Hensman Gibbs (herein called Henry Gibbs) died on 2nd July 1931. Probate of his will has been granted to Amelia Florence Gibbs of 39 Harp Road East Kew Widow. [S185] Property Titles. ; PROV (Public Records Office Victoria), C/T 4116-086 - Alfred Philip Cruthers of Upper Beaconsfield Master Printer. Death-Notice* 8 Oct 1942 GIBBS.—On October 7, at a private hospital, Kew, Edward, loved husband of the late Elizabeth Gibbs, and loved father of Percy, Charlie, Edith, Elsie, Winnie, Harry (deceased) and Daisy, aged 88 years. [S66] Berwick Shire Rates, 1870-1965 Rate Books 1915/16. [S20] Various indexed records of GSV - Genealogical Society Victoria "Memorial Inscriptions of Boroondara Cemetery, transcribed by Port Phillip Pioneers Group Inc 1993." [S11] Newspaper - Argus 27 Jul 1920, p1. [S11] Newspaper - Argus 1 Oct 1910, p13. Death-Notice* 21 Jun 1948 GIBBS. 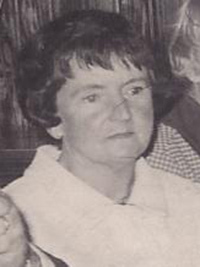 - On June 19, at her residence, 14 Kitchener street, East Kew, Amelia Florence, dearly loved wife of the late Harry, loved and loving mother of Frances. GIBBS. - On June 19. at her residence, 14 Kitchener street. East Kew. Amelia Florence, loved sister of W. B. Bullock (deceased), F. G. Bullock (deceased). Lillian H Bullock, and Gertrude V. Ket. [S11] Newspaper - Argus 21 Jun 1948, p2+8. 18 Apr 2007, City mourns a ‘treasure’ GREATER Dandenong identity and ex-prisoner of war (PoW) Bill Toon has died just days before he and fellow veterans were set to remember Australia’s fallen soldiers on Anzac Day. Mr Toon died last Friday, aged 86. He owned a textiles business in Dandenong for 32 years but his broadest influence was felt nationwide when he played a key role in establishing a Hellfire Pass memorial at the Thai-Burma Railway in honour of the 12,000 PoWs and Asian labourers buried along its route. Mr Toon was born in Leicestershire, England, in 1920 and migrated to Australia at a young age with his parents. He served with the Australian army in 1940 and saw combat in World War II where he was taken prisoner by opposition forces and spent time in Changi prison in Singapore. Following a short stint in Changi, Mr Toon worked as a PoW on the infamous Thai-Burma Railway. He returned to Australia in 1945 and by 1950 moved to Narre Warren with his family. He began a retail business, Toons Fabrics, which operated prominently in Dandenong for 32 years. Mr Toon joined the Dandenong Chamber of Commerce in 1956, and in the same year founded the Dandenong Hockey Club, of which he was inaugural president, and later a life member. In 1958 Mr Toon joined the Ex-POW and Relatives Association which he devoted much time and effort to, was secretary of, and in return was given life membership. The City of Greater Dandenong declared Mr Toon a ‘Living Treasure’ in 1998, immortalising him in the city’s history. In 2000, Mr Toon was awarded a Medal of the Order of Australia. During his post-war years he has served in prominent positions with a plethora of community service groups, including Legacy, Rotary, the RSL, and the Jaycees. He was good mates with Sir Edward ‘Weary’ Dunlop, and was leader of a pilgrimage to scatter part of his old friend’s ashes along the Hellfire Pass. 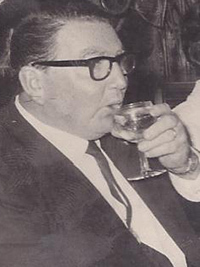 State RSL president Major-General David McLachlan told Star that Mr Toon was ‘truly one of nature’s gentlemen’. “Bill was a tremendous stalwart of the RSL and was one of the most gracious people in terms of support to his fellow man, and we will sadly miss him,” he said. Maj Gen McLachlan said the RSL would in time commemorate Mr Toon because of his significant contribution. “That will happen, we don’t immediately rush out and do those things, but Bill was a life member at the RSL and I am sure somewhere down the track there will be something to commemorate Bill in our system. [S80] Ancestry - Family Tree, TOON Family Tree Owner: bcljwal. [S185] Property Titles. ; PROV (Public Records Office Victoria), C/T 7234-602 - B & R Nominees Pty Ltd of 120 William Street Melbourne. [S185] Property Titles. ; PROV (Public Records Office Victoria), C/T 4192-206 - Francis Geoffrey Conn of 9 Armstrong Road Upper Beaconsfield John William Henry Toon of 11 Lloyd Ave Narre Warren & Leo James Welch of 51 Fox rd Narre Warren north - surviving joint proprietors. SUBJECT: World War, 1939-1945 - Prisoners and prisons, Japanese. ;World War, 1939-1945 - Prisoners and prisons, Australian. ;World War, 1939-1945 - Personal narratives, Australian. ;Burma-Siam Railroad. ; Monograph YEAR: 1995. PAGINATION: iv, 26 p. : ill., maps, ports. ; 30 cm. CITATION: abn95285843. [S183] Website It's an honour (www.itsanhonour.gov.au/). [S13] Newspaper - Herald Sun "14 Apr 2007 - viewed online." [S149] Electoral Roll for Australia, 1949 "Edward Electoral District." [S177] Electoral Roll for Australia, 1977 "also William Stewart Toon, manager ; Adele Josefa Toon, hd ; Margaret Dianne Toon, teller ;." [S180] Electoral Roll for Australia, 1980 "also Andrew John Toon, cabinet maker." [S14] Newspaper - Dandenong Star, 18 Apr 2007, By Shaun Inguanzo - viewed online. Death-Notice* 18 Nov 2013 TOON. Betty Mary Rose. 21.10.1923 - 16.11.2013 Betty passed away on Saturday Aged 90 Much loved wife of Bill (dec.) Loving and devoted mother of Robert, Bill, Margaret and Andrew and their partners. A proud grandmother and great grandmother. We will forever hold you close in our hearts. Garden of No Distant Place, May, Date 13. [S13] Newspaper - Herald Sun "18+19 Nov 2013 - viewed online 22 Jul 2017."